Super happy to bring a guest post from Kayleigh Alexandra from Micro Startups! She’s bringing us knowledge on creating a small business mission. 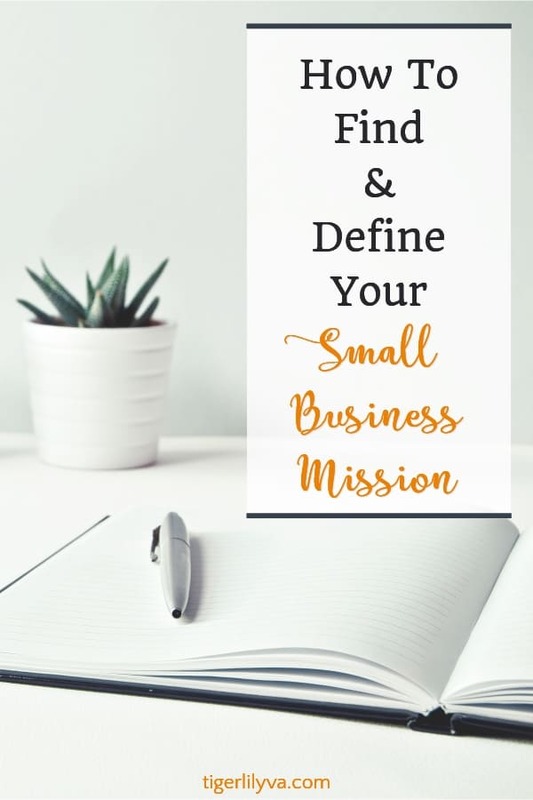 In a nutshell, your mission describes the function, goals, and purpose for being for your small business or nonprofit. It is your guiding light, the driving force that leads you throughout your journey to success. 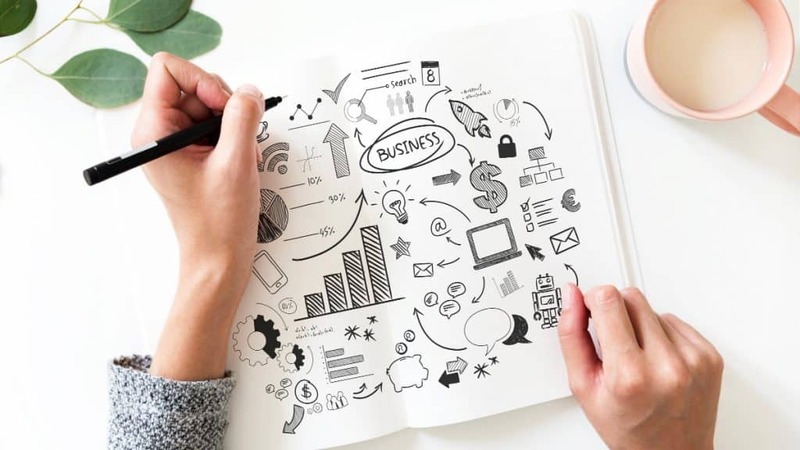 It’ll form the foundation for your one, five, and ten year plan, and it’ll form the essence of what your business stands for. But how do you find it? What makes for the perfect mission statement? What questions do you need to answer when you’re defining yours? Let me break it down for you. Let’s start at the start: your business’s value proposition. This is your business’s purpose, whatever you make, sell, or provide, and why you do it. Maybe you had a great idea for an innovative product or service, or you saw a niche market that you thought you could fill. Whatever it is, that’s your starting point. What product or service does my business provide? Why am I different to other businesses on the market? There are lots of brands out there today all jostling for a piece of the action, and it can be hard for small businesses to get themselves heard. To achieve this, you need to formulate a value proposition that really makes you stand out. So you’ve got your value proposition. Next, you need to identify your niche. This is essentially who will be buying your product and why they’re buying it. Your business should be customer-centric, with everything you do working towards meeting their needs. Use useful business tools like Soovle or Social Mention to find out what questions your customers are asking and what they’re talking about. Once you know their concerns and interests, you can more effectively define your business and how it meets those needs. Finding your target market is vital for small businesses. You can’t afford to cast a wide net — it’s simply not viable. Instead, you should do your customer research and tailor your marketing to the audience that is most likely to buy and engage with your product. Once you’ve got your value proposition and you’ve identified your target customer, you can create a market-defining story. This is a story that details how and why a customer decides to buy your product or service. It sets out not only the reason why people shop with you, but who they are and what they’re getting from you. While your customers certainly form a vital part of your business mission, your employees are also very important too. Your business’s longevity is built on happy employees and a positive company culture, so it’s crucial that you outline this from the start. This can include things like diversity and respect, with an emphasis on openness and honesty. Your customers are important, but your employees are the lifeblood in your business’s veins. Creating a positive environment where everyone can flourish is the starting point for true business success. Part of your company culture will also lie in your social responsibility. Your CSR is more than just a statement of what your business or nonprofit stands for, it is the actions that make it true. Charity initiatives, community events, employee welfare commitments — all of these go towards your company’s social responsibility, and will form a significant strand of your mission. But what if you’re a solopreneur? Your company culture still matters. This is because you should work in a business that you are proud of. What do you want from your workplace? It could be as simple as turning off your work devices after a certain time so you can spend time with your family. Even solo businesses need a positive company culture, so always strive to get satisfaction out of your work. This aspect of your mission statement will help guide you as your brand grows further down the line. And remember, simply defining it isn’t enough. You need to make your words a reality by staying true to them everyday. Your mission is an important part of your small business. It’ll help guide you as you build your business, informing key decisions you make about your direction. You’ll refer back to it time and time again. But while it’s important to always bear your mission statement in mind, it’s worth staying flexible. Your business will grow and develop with time, and you might see new avenues opening themselves up to you. For example, before ecommerce software provider Shopify first appeared on the scene, its CEO, Tobias Lutke, was originally selling snowboards. As part of his business plan he needed a website, so he designed an online store that was easy to set up… then realizing how successful this could be as a SaaS product, he went full-time with it. And online retail giant Amazon originally started selling books…Today it sells anything and everything under the sun, as well as running a successful video streaming service. Finally, Finnish brand Nokia is best known as a mobile communications giant. But they had their humble roots in the paper mill industry. That’s quite the career change! Your mission statement should never be set in stone — it will change. Stay flexible and stay open to new opportunities, but always keep your mission statement at the core of your business. Once you’ve written your mission statement, you should go back and revisit it. Chop and change it to really make it the best it can be. Even months or years down the line, you may need to go back and redraft it as you face new challenges and situations. And you should always refer back to it with every new decision you have to make, making it the driving force behind everything you do. This is a wonderful guide. Finding the right niche is always the key to get success. Many thanks for sharing this article. Thanks Santanu! I agree. Kayleigh did a wonderful write-up on this. Hi Lillian and Kayleigh, Well done on covering this very important topic. Finding your mission helps is hard. When you find it, it’ll give you a lot of energy to pursue your goals. Then, you need to stay on track and always remember your core values. Thanks for stopping by! Yes, the mission is so very important. Lillian and Kayleigh you guys have nailed it. Thanks for this topic. Success for me, depends on finding the right niche after all, self discovery is the gate way to success. Thanks for stopping by! Hope you find the right niche for you. This is a amazing guide for small business. Even, I’ve a small business for Entrepreneur. Many thanks for sharing this article. Thanks for stopping by! Kaleigh has some amazing points in this post. This is very useful post. Thanks for sharing your valuable information.